thanks for a wide range link collection. You made it so easy to search any any serious raag. in raag bhatyar bandish is in raag bhairvi-why? Brim over I agree but I dream the list inform should have more info then it has. Feel free to leave a link on this message board if you want to share other shabads in raags. Or you can email me and we can figure out a way to post shabads online. Bhai saab, isn't Anand Sahib in Ramkali. In your list it is shown in another raaga (Basant). Is it an error in uploading or Anand Sahib has been actually recited in another raaga by the artist/ raagi sahib? 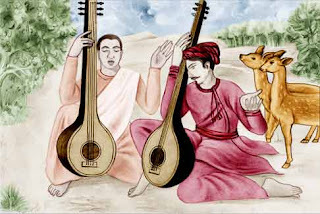 In that recording, Anand Sahib is sung in Basant. thank you for groupping the shabads by Raag. Would you by any chance have the sargam notation for each shabads? Dear Shivpreet do you have the sargam notation for the shabads that are grouped into raags? some notations are available in book gurmat sangeet sagar part 4 by principal dyal singh ji. Can someone please share soundcloud link to all these shabads?